#144. Summits - Wahsatch Range - Utah. 6 x 8.5, chromolithograph. Title on plate. 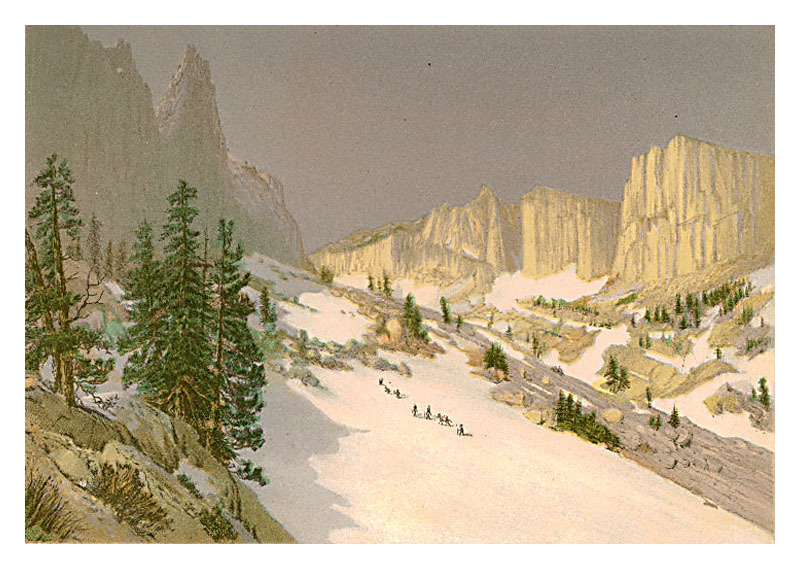 This picture is Plate I in Clarence King's Systematic Geology, published in 1878. 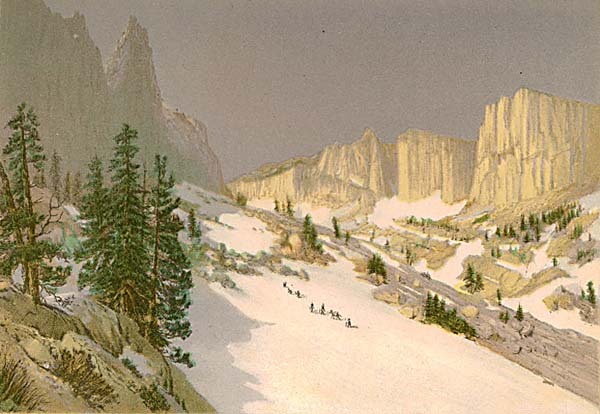 It is based on an oil sketch by Gilbert Munger, who was guest artist with King's 40th Parallel Geological Survey in 1869 and 1870. Munger was in this area with King in 1869. Timothy O'Sullivan, Survey photographer, took a closely matching photograph in 1869 identified as "Wasatch Mountains, Lone Peak, Utah" (see page 84 in American Frontiers: The Photographs of Timothy H. O'Sullivan, 1867-1874 by Snyder, Aperture Inc., Millerton NY, 1981). The photo even shows geologist Samuel Franklin Emmons, Munger, and horse standing on the snow slope (see page 215, c.1, in Timothy H. O'Sullivan - The King Survey, Davis & Aspinwall, distributed by Yale Univ, Press, 2011). QFD 9. Image is a direct scan of the plate.